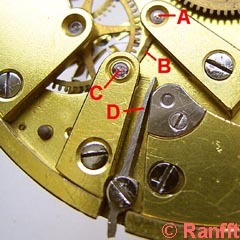 The last pinion A of a separate train with own barrel has a lever B. 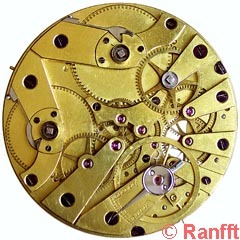 This is stopped by each of the 6 teeth of the escape wheel pinion C, and a bit later released. 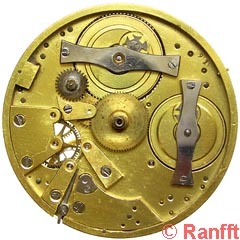 As the escape wheel with 15 teeth turns once in 6 seconds, the lever B is released once per second, and the second hand can advance one second. If the end of the stop lever D is set to the left, it stops lever B, so the second hand stops, but the time train continues running.